Julie began her career in the private sector as Corporate Controller for Century City, Inc. and Moss & Co., real estate management companies. Prior to starting her CPA firm, Julie was staff accountant at local accounting firms specializing in audits, reviews, and tax preparation. Julie is a graduate of the University of Southern California with dual degrees in business and accounting. When not in her office, you will find Julie participating in local fundraising events. Julie has chaired many local non-profit events, The Evening under the Stars for the Michael Hoefflin Foundation, Woman of Honor for the Betty Ferguson Foundation and Taste of the Town for the Child and Family Foundation. 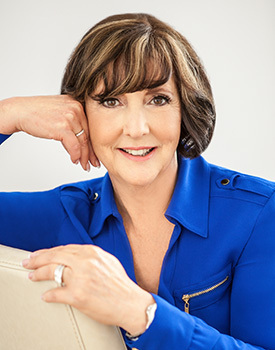 She has served on the Board of Directors for College of the Canyons Foundation, Senior Center, Soroptomist of Greater Santa Clarita Valley, The Betty Ferguson Foundation along with PTA and PTA Council. Julie has been nominated for Santa Clarita Valley Woman of the Year on multiple occasions. Julie believes that a local firm best serves the local community. This involvement helps her to be in tune with the business community, tapped into the economy and how it is impacting Santa Clarita individuals, their families, and their business activities, both in and beyond the Valley. Julie is a member of the American Institute of Certified Public Accountants (AICPA) and California Society of Certified Public Accountants (CSCPA). Julie spends her free time with her family and grandchildren. She loves to cook, travel, read and work out. 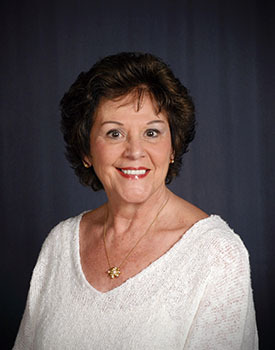 Ms. Gantenbein has been in the financial services industry for nearly 30 years. She began her career in 1981 as an Account executive with Prudential Bache Securities in New York. Ms. Gantenbein is an Enrolled Agent, specializing in taxation and licensed by the Federal Government to represent taxpayers before the Internal Revenue Service. 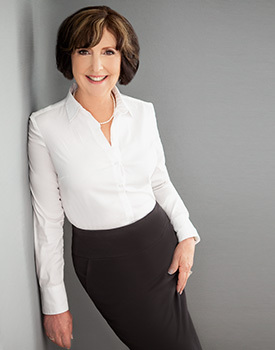 Her areas of expertise in tax preparation include Individual, Fiduciary, Gift and Estate. Laura has extensive experience working on collection cases with the IRS. She can navigate a settlement agreement with the IRS – Installment Agreement or Offer in Compromise. She can obtain all the necessary information to assist you become compliant with the IRS. She has put at ease many clients who were saddled with overwhelming tax issues. 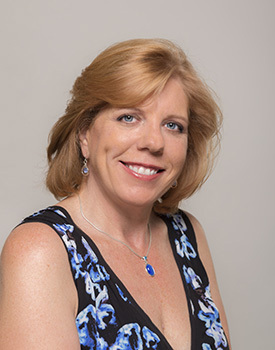 Vicci Zimmerman has over 25 years bookkeeping and business experience. She has extensive knowledge in QuickBooks and has helped many clients clean up their books bringing them on par with their tax returns. Her specialties include accounts receivable & accounts payable reconciliation, inventory adjustments and point-of-sale set-up and maintenance. She is an ace at setting up memorized transactions that reduce the need for redundant monthly invoicing and bill pays. She is available to work or train you on- site or at our offices via remote pc. Her client responsibilities include payroll tax, sales tax and estimated tax payments along with filing all necessary quarterly and/or annual reports. Vicci has been active in the Santa Clarita community through PTA and non-profit organizations. Vicci has taken a leadership role in the firm as Supervisor. She interacts with clients to help them with all of their QuickBooks issues and questions. Letty has over 10 years of bookkeeping and business experience. Her area of specialization is payroll and QuickBooks. Letty works with the clients to help them with QuickBooks questions along with helping them with setting up their payrolls. 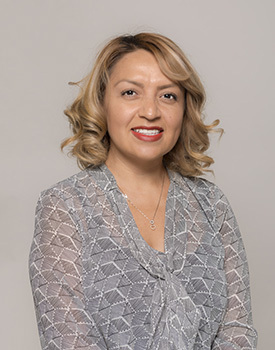 During tax season, Letty is the primary contact at the firm setting up appointments and communicating with clients.